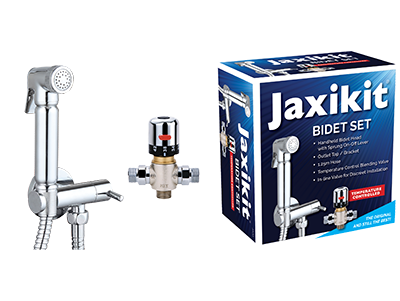 Jaxikit is THE bidet kit of choice for those that want quality. And the range is now bigger than ever. Jaxikit is a pioneer in the world of Bidet kits and offers a solution whatever the scenario. The comprehensive range includes everything from replacement bidet hand showers to luxury bidet kits which include panel mounting, a thermostatic blending valve, shower hose, designer bracket and outlet tap. The range now includes a square design too. Affordable quality from a name you can trust.